Ather Energy launches two variants of Electric Scooter - Ather 450 & Ather 340 for INR 1,24,750 and INR 1,09,750 respectively | Unkrate | Creating Experiences. 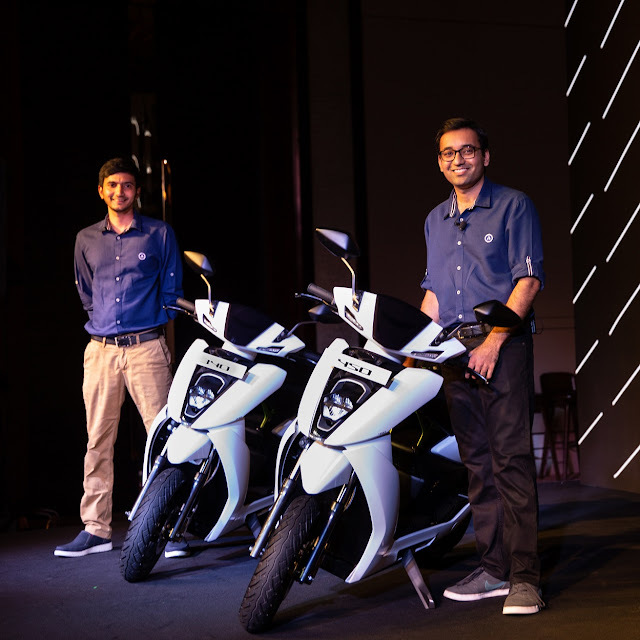 Speaking at the launch, Tarun Mehta, Co-founder & CEO said "We started building electric scooters four years ago at IIT Madras and we are super excited to launch not only the Ather 340 but also our higher performance flagship variant, the Ather 450. It has been designed with quick acceleration, great handling, high storage space and new-to-category features like park assist, remote diagnostics, and onboard navigation. In the last 4 years, we have not only built the scooter, but an ecosystem for an electric vehicle future. Be it the suppliers and partners who were entering the EV market, the charging infrastructure that had to be set up for consumers and the engineering talent itself to build the products. Between the Ather 450 & Ather 340 launching and AtherGrid being up and running in Bengaluru, we are really looking forward to expanding into Chennai & Pune in the coming months. These are exciting times to be a part of the industry." Limited pre-orders have opened on Ather’s website and, their experience center, AtherSpace at Indiranagar will open for test rides on Friday, 8th June. The key differentiator of the Ather 450 is its intelligence features, seamless charging and ownership experience. The Ather 450 comes with a home charging Point, that will be installed by the company at either owners’ homes or workplace. Features like surge protection, authenticated power draw, and remote charge monitoring make Ather’s Point a fast, safe and intelligent charger. Ather Energy has a new dealership and service model. While the ordering, payment, and test ride scheduling is online, the brand has opened its experience center, AtherSpace to give customers an in-depth look and experience of the product. The servicing woes are also taken away by a seamless doorstep pickup and service that can be scheduled through the Ather app.